As the power to fuel an entire civilization courses from the earth, the cavern at the base of the Nightwell has become a maelstrom of raw energy. 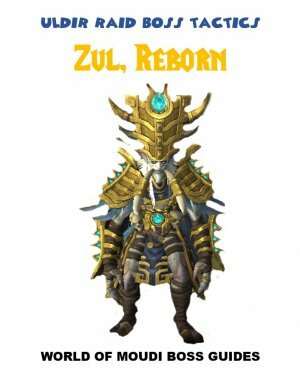 Born from this chaotic flux, the Chronomatic Anomaly is an embodiment of the power of the Eye of Aman’thul. As it lashes out with energy attacks, the bursts of energy warp the very flow of time. When you enter this area, you will see a big boss walking around a really big well called Nightwell. There are 4 main things involved in this fight. - The big Nightwell in the middle. You will fight a boss that can change time with the help of a well in the center of the platform. The time changes are normal, fast and slow and that affects both players and enemies. The abilities the boss and add do are affected by it, so beware of debuffs and cast times when interrupts are needed. Players movement speed, cast time, attack speed etc are also affected. 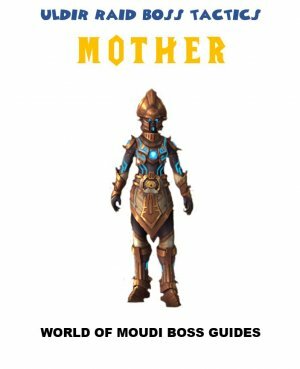 The boss has a main ability that can wipe the raid, Power Overwhelmed by making the Nightwell pulse out damage to the entire raid. 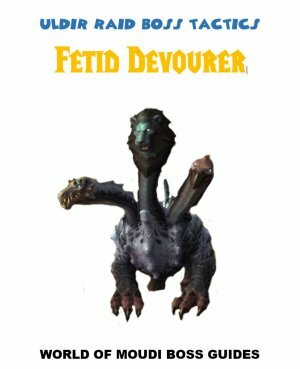 This can only be stopped by picking up a rift that a special elemental add drops when it dies. Tank the boss between the 2 markers. Markers denote the place the Elemental add may spawn. 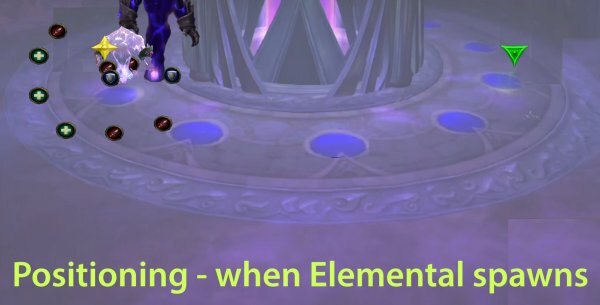 Elemental add will spawn either on left or right side. When Elemental add is out, tank boss next to the Elemental add. As soon as elemental add is dead. Move the boss back again. The time affects players AND enemies as well. 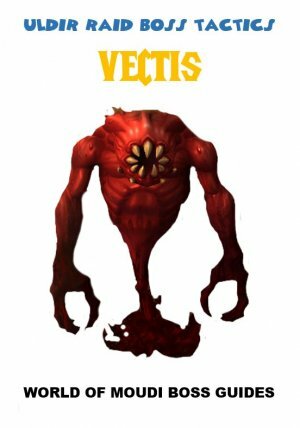 Casting, movement, attack speeds and also when enemies put debuffs on you. Always pay attention on what time it is. Arcane damage to its target. Arcane Damage to all players through the Nightwell (an arcane wave comes out from the well). Each time this happens, it increases in damage. 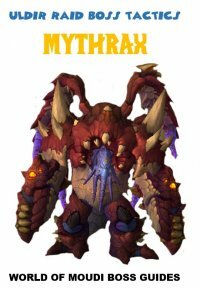 On Heroic and Mythic: When the Elemental add is at 30% health, it is immune to interrupts. 4 Fragmented Particles (4 smaller adds) spawns on the same location. 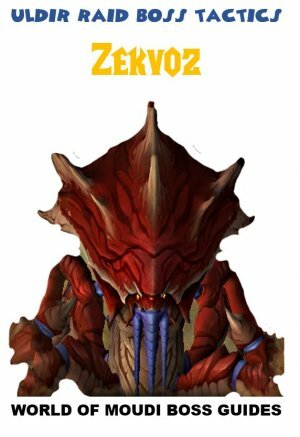 If the Rift is picked up, that player will take damage over time. That player will also get a new ability called Temporal Smash. Temporal Smash stops the boss from using his ability “Power Overwhelming” and also takes 30% more damage for 15 seconds. The Temporal Smash ability happens automatically when the person is close to the boss when he does Power Overwhelmed. The add spawns on close to the Nightwell. A white cloud spawns before the add comes out so you have time to move there before it spawns. Tank the boss next to the big Elemental add. Pick up the Rift and use defensive CD if needed until boss does Power Overwhelmed. All dps focus on the Elemental add. When it dies, AoE down the small adds fast. Interrupt every Warp Nightwell. Best way is to have a rotation on players that interrupts. 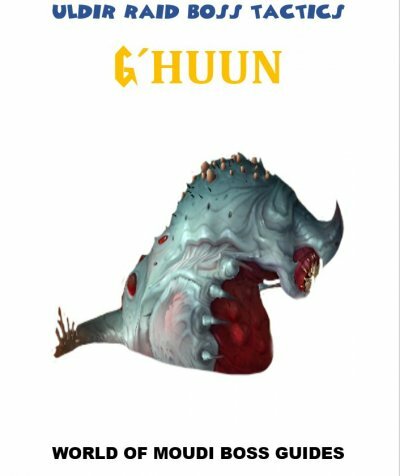 At 30% HP the raid will start taking a lot of damage from the add since it will be immune to interrupts. Healers needs to beware and heal the raid. The boss interacts with the Nightwell to make it pulse out Arcane damage to all players periodically. Each pulse increase the damage of the next pulse by 15%. Boss does this ability after Elemental add is dead (can happen that he does it when elemental add is still alive). Make sure that off-tank has the rift and is close to boss so that Power Overwhelmed will be interrupted. This can only be interrupted with Temporal Smash which you get from a rift that drops when an Elemental add (Waning Time Particle) dies. Happens automatically when the person is close to the boss when he does Power Overwhelmed. See above for more info. After Power Overwhelmed is interrupted, use dps cooldowns and burn down the boss since he takes 30% more damage. 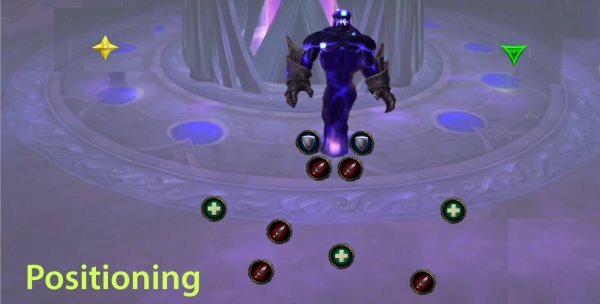 Be ready to use healing cooldowns if the add is not dead yet when boss does Power Overwhelmed. 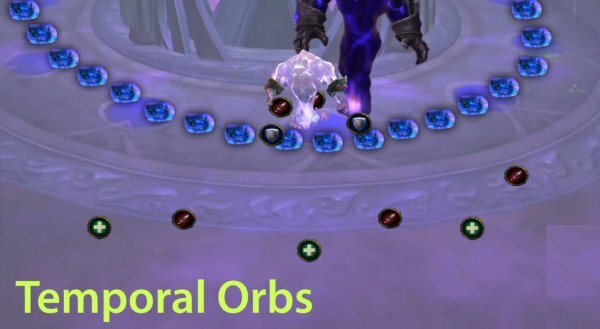 Each Orb does high Arcane damage to all players it hits. Start by standing further away from the middle, so the orbs have a wider distance between them and easier to dodge. Passage of time affects the speed of the Orbs. 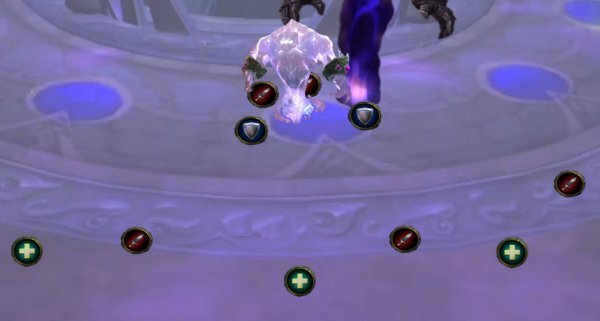 Boss puts a stacking debuff on tank that does Arcane damage every 2 seconds. 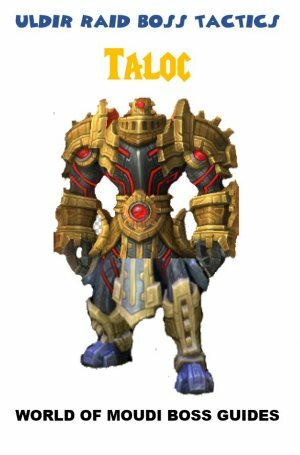 If the tank has more than 9 stacks, it becomes overloaded and the tank will die and cause an explosion that does very high damage to all players. The debuff is affected by Passage of time. Tank swap will differ depending on if it is normal, slow or fast time. Normal time: Tank swap at 5 stacks. Slow: Tank swap at 8 stacks. Fast: Tank swap at 3 stacks. Boss puts a debuff on a random player that has an amount of heal absorption. 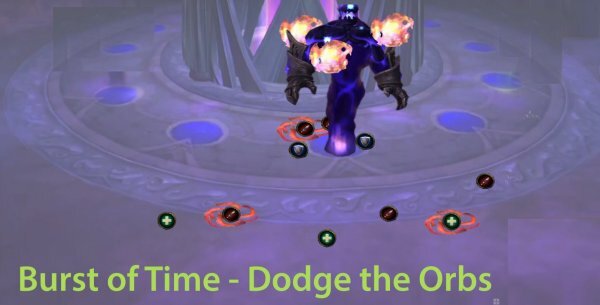 When time runs out on the debuff, it will do damage to all players based on how much heal absorption is left on that player. This ability is affected of Passage of Time (Normal, fast slow). In this case it regards to how often the boss will do this and also on how many players. Fast: less targets are affected but boss does it more often. Slow: More targets are affected but boss does it less. Spam heal the player that gets this debuff until it is gone. Boss shoots orbs on target locations. The impact does Arcane damage to players within 6 yards. Stay spread from each other. You will see on the ground where the orb will land. Beware that this is affected of Passage of time (Normal, fast, slow). In this case, it affects the time it takes before impact. Boss puts a debuff on random player (except tanks). After some seconds, the debuff expires and does high Arcane damage on all players. The damage on other players is less, the further away the targeted player is from the raid. Beware of the timer on the debuff because it is affected of Passage of Time (normal, slow, fast). If you get this debuff, run far away from raid and wait until it expires, then run back in again. In general, run towards the outer wall away from middle, since the raid will be closer to middle. Use it when first Elemental add (Waning Time Particle) is at 30% health. Kill the Elemental add, then small add fast then use the rest of the time on boss, when he takes 30% more damage after Temporal Smash.